We're an all-levels Fitness and wellness community for women. 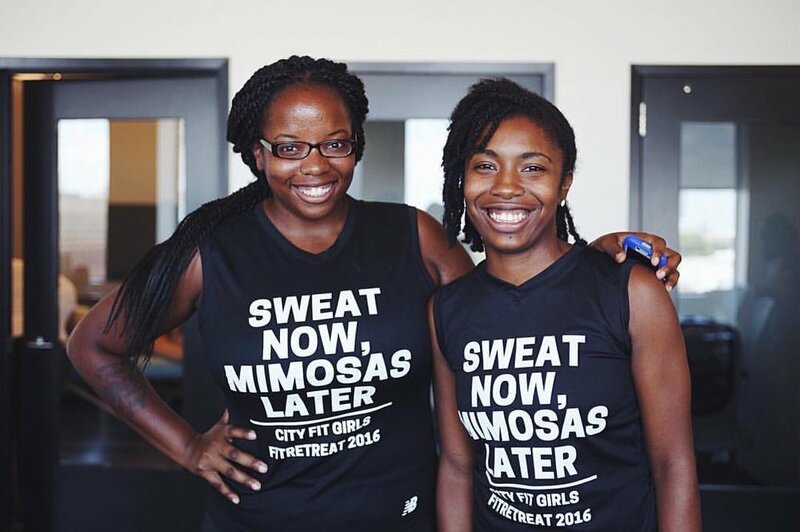 City Fit Girls was started in 2013 by Kiera Smalls and Takia McClendon. What started as a group of friends working towards their fitness goals in Philadelphia, has turned into an inclusive fitness and wellness community for women. We created City Fit Girls to help women looking to reach their fitness and wellness goals. Our goal is - and has always been - to make physical activity more accessible for all women no matter their race, pace, age, body type, sexual orientation, or income level. We started out with bootcamps and personal training and eventually grew to host group workouts, run clubs and other events throughout Philadelphia and beyond. We pride ourselves in hosting free to low-cost events while also introducing the women in our community to new gyms and studios. Most of our events and digital content is available free of cost to City Fit Girls but we do host special events, like FitRetreat, for a fee. The City Fit Girls newsletter makes it easy for you to be healthy. Join thousands of women in our community by signing up to get workouts, recipes, motivation, and resources delivered to your inbox every Monday morning. If you're new to City Fit Girls, check out a few of our most popular posts to get started. Don't forget to sign up for our weekly newsletter (running tips, training programs & resources delivered to your inbox every Monday morning). To learn more about City Fit Girls' group runs, click here. Join our Facebook communities in Chicago, Denver, New York City, Philadelphia and the Washington, D.C. area to connect with other City Fit Girls in your city. For all inquiries on fitness events and promotions, and to reach Takia McClendon or Kiera Smalls please send an email to info@cityfitgirls.com. Follow City Fit Girls on Twitter, Pinterest, Instagram and Facebook using the links below!